The debate over a bill to fund homeless shelters in Utah came down to whether cities should pay what is essentially a penalty for not having enough affordable and low-income housing. Some lawmakers and representatives from Utah’s cities said they can’t easily influence the kind of housing that’s built within their boundaries. So imposing a fee on those cities with less than the statewide average of affordable housing, they said, would essentially tax them for something outside their control. But the majority of House members agreed with the bill put forward by Rep. Steve Eliason, R-Sandy, whose city could face among the highest penalties for lacking affordable housing. HB462 passed 49-15 and is on its way to the Senate. “At the end of the day, the answer to homelessness is housing, housing, housing,” Eliason said. 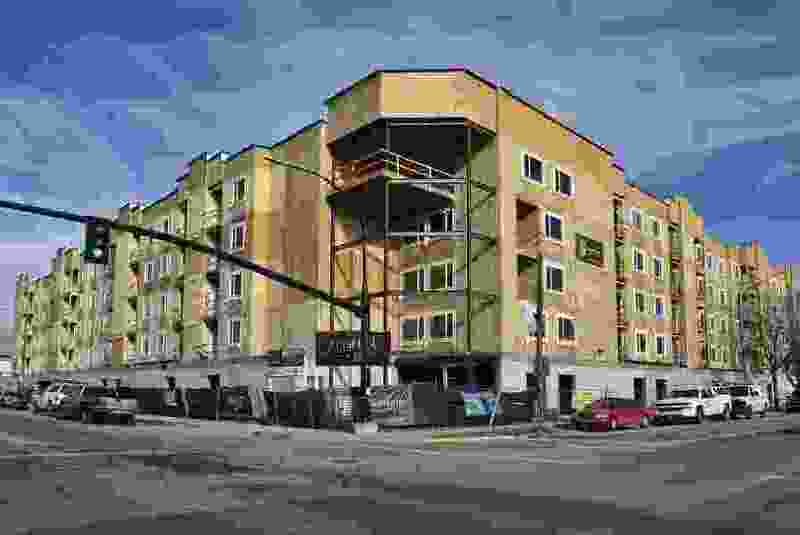 State and federal data show several cities in Salt Lake Valley are well below the statewide average of housing units affordable to residents making 50 percent and 30 percent of the median income. The money raised by HB462 would pay for operating homeless shelters in Utah. Half the money would come from a fee — imposed by withholding a portion of eligible cities’ share of state sales tax — and the other $3.3 million from the state’s general fund. Cities that either host a homeless shelter or have more than the statewide average of affordable and low-income housing would be exempt from the fee. Currently, Salt Lake City, Midvale, Ogden and St. George have shelters. South Salt Lake will have one next year as the state moves to close the 1,100-bed shelter in downtown Salt Lake City and open three smaller ones. Rep. Karianne Lisonbee, R-Clearfield, proposed stripping out of the bill the penalty for cities lacking affordable and low-income housing units. Her version of the bill would have instead taken $6.6 million from the state’s general fund every year to cover costs of running the shelters. She and other opponents of the fee said Eliason’s bill wasn’t incentivizing cities to build more affordable housing. Two lawmakers who are developers — Reps. Brad Wilson and Mike Schultz — said there are cities that don't welcome low-income housing, and cities needed to help the state in its effort to reform homeless services. Affordable-housing advocates said they were hopeful that the House’s decision to move ahead with Eliason’s bill showed that lawmakers recognized housing as a critical piece of keeping people out of homelessness. Utah cities that don’t have a homeless shelter or enough low-income housing would pay into a pot of money that would help run the state’s homeless shelters under a much-anticipated bill that was unveiled over the weekend and passed a committee vote on Monday. The bill would raise $6.6 million, half coming from the state’s general fund and half from cities that have less than the statewide average of affordable and low-income housing and don’t have a homeless shelter. House Speaker Greg Hughes, R-Draper, has called HB462 must-pass legislation. Shelters receiving the money would have to commit to matching it with private donations under the bill. The state is preparing to close the 1,100-bed shelter in downtown Salt Lake City next year and open three smaller shelters with 700 total beds. Rep. Steve Eliason, R-Sandy, who is running the bill, said he wanted to create an incentive for cities to facilitate development of low-income and affordable housing. Eliason has spent months looking for a way to raise the money. If a city faces a fee for lacking affordable housing, HB462 would take it out of the sales taxes that would otherwise go to the city. Cameron Diehl, executive director of the Utah League of Cities and Towns, said the Legislature would create holes in city budgets in a year when the state has more than a half-billion-dollar budget bump from congressional tax changes and a booming economy. The bill caps at $200,000 the fee for large cities that have no homeless shelters and less than the average of low-income and affordable housing units. Eliason said only three or four cities would hit that cap at current levels.